The departure of the administrator, Carole Post, comes as the city is challenging the release of a report on a much-delayed modernization of the city’s 911 system. HARLEM A street food vendor in East Harlem trying to take their business to the next level often has several tough obstacles to overcome. “If you have to choose between getting materials, paying rent or incorporating your business, you are not going to incorporate your business,” said Beatriz Mieses-Hernandez, a community liaison at Hot Bread Kitchen at La Marqueta, a non-profit bakery that runs HBK Incubates, a year-old business incubator in East Harlem. 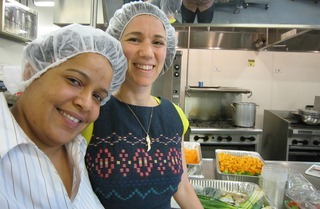 The incubator, a project of the City Council and the Economic Development Corporation, tries to cut through some of those obstacles by providing immigrant and minority women access to modern facilities, training to get food-handling certificates and even English as a second language classes at low cost. But the cost of insurance, incorporation papers and health licenses needed to take part in the services offered by the incubator can be between $2,000 and $5,000, placing it out of the reach of many. To tackle the problem, HBK Incubates is using a grant from Citibank to create the Low Income Food Entrepreneurs program and lower the entry barriers even further. “We founded the incubator with an eye on helping women immigrants, but we realized it was a challenge for many because even the initial investment was a barrier to entry,” said Jessamyn Waldman, executive director of Hot Bread Kitchen.